Sony is all set to showcase its newest range of smartphones at the MWC (Mobile World Congress) 2019. Amidst all this, the specifications of the upcoming Sony Xperia 10 and Xperia 10 Plus were leaked via the Google Play Console. The leaked specs confirm prior rumours surrounding the devices. 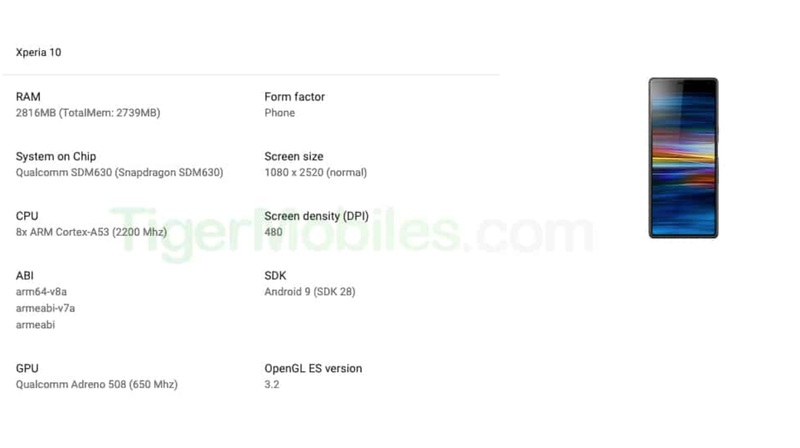 As per the leaked specs list revealed by sources, the Xperia 10 will run on the 14nm Qualcomm Snapdragon SDM630, which consists of the 64 bit 8x ARM Cortex A53 CPU clocked at 2.2 GHz. 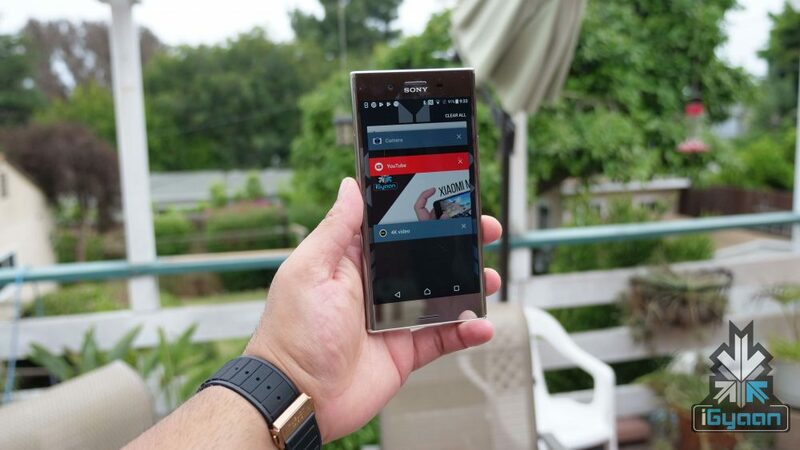 It is paired with the Qualcomm Adreno 508 GPU. The list also shows that the display of the smartphone will have a screen density of 480 DPI and exhibit a resolution of 2520 x 1080 px with a 21:9 aspect ratio. 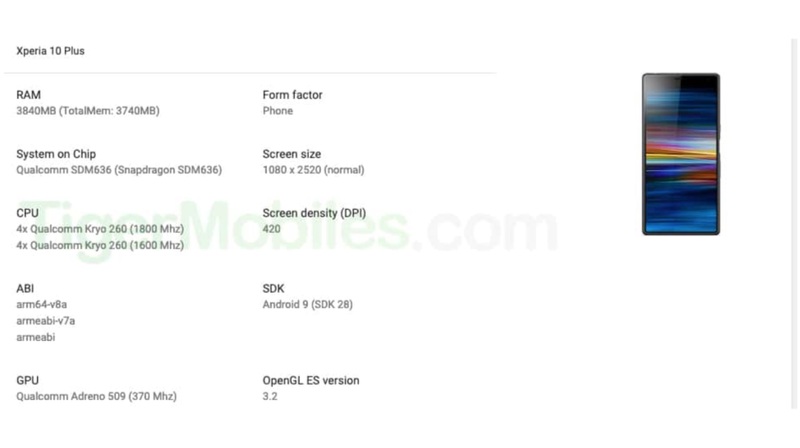 Leaks also show that the Xperia 10 will run on the Android 9 (SDK 28). No information is available regarding the storage yet, but the leaked specs inform that the device will have 3 GB of RAM. The handset is expected to feature a dual primary camera setup with a combination of 13MP+5MP sensors. It may also be equipped with an 8MP front facing camera. The device will reportedly be powered by a 2870 mAh battery with fast charging support. 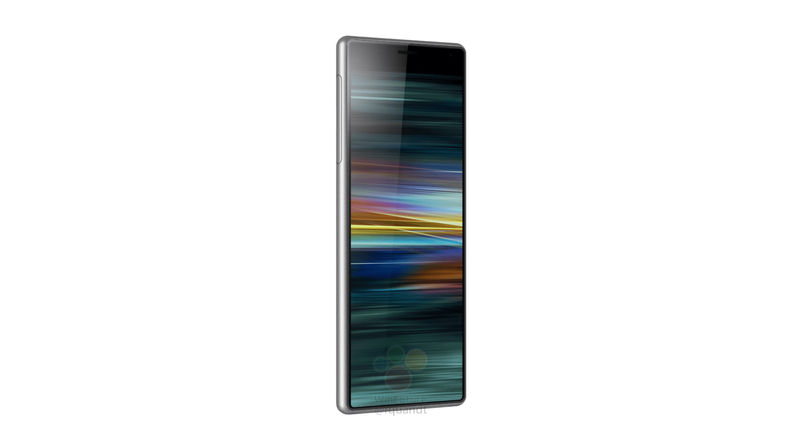 The leaked list also reveals some key specifications about the Xperia 10’s elder sibling, the Xperia 10 Plus. As per sources, it will run on the 14nm Qualcomm Snapdragon SDM 636 chipset. The chipset comprises of the Kryo 260 octa-core CPU, with four cores clocked at 1.8 GHz and the rest of the cores clocked at 1.6 GHz. The SoC also packs the Adreno 509 GPU. The smartphone’s screen will have the same resolution and aspect ratio as the Xperia 10. As per the leaks, the Xperia 10 Plus will also run on the Android 9. The device will reportedly have 4 GB of RAM, with no details regarding the storage options. It may be equipped with a dual (12MP+8MP) camera module on the back, with an 8MP selfie camera. A 3,000 mAh battery may power the device. Sony hasn’t made an official announcement regarding the release date of the Xperia 10 and 10 Plus. Previously, it was speculated that Sony might release these devices at the MWC 2019. But reports say that the launch date has been postponed to somewhere in the near future. Either way, the devices may make an entry in the sub-25k segment. If you have any information for us, do share it in the comment section below.